As I followed Sikes down the alley, the stench of the river assaulted my nostrils, warning me our route was now running perilously close to the banks of the Thames – one slip and either of us might disappear forever beneath those treacherous waters, sinking into the mud and slime of that deadly channel. We had reached the corner of the alley where the darkness was less all-encompassing. I could now make out the lights of the south bank glowing dully across the water in front of us. To our right, a dim figure was running towards a group of what I supposed to be warehouses by the water’s edge. “That’s him,” I said, and we set off again along a solid, but slippery pathway. The man vanished into a gap between the warehouses and, not wishing to play the hero, I allowed my companion to go first. “Don’t you worry, Docter,” said he. “I’ll protect yer.” And with that, Sikes dashed into yet another dark alley. Shading my eyes the better to see my way through the shadowy passage, I hastened along behind him, completely failing to notice a hand reaching out of the shadows as I passed a small doorway. A moment later, I was jerked roughly into one of the sheds and thrown to the floor. “Now, look here…” I started, getting to my feet, but two burly figures pushed me back down, their filthy boots pinning my arms to the floor. Peering upwards, I could just make out the outline of my captor’s head and shoulders – the silhouette of his black Fedora telling me I had found my quarry. The man bent down towards me and his fetid breath wafted over my face – garlic and stilton cheese, if I’m not much mistaken. Staring at the man’s arm, I gasped. On the end of his limb in place of a human hand, a glinting metallic shape glinted metallicly in the moonlight, via an appropriately located skylight above my head. “Perhaps you’d care for a demonstration of my bottom-ripping tool? I’d be delighted to insert The Claw into your orifice, Doctor…” The moonlight glinted on his teeth and I noticed that they too had a metallic quality to them. “Er, no, that’s alright, thanks,” I mumbled. I was sorely tempted to utter some threat to the effect that myself and Holmes would track him down come hell or very high water, but the words melted in my mouth and I simply nodded. A moment later he and his burly assistants were gone, and I was left staring up at the moon and wishing I was in quite a different location. It occurred to me I had made the silliest of mistakes and run directly into what should have been obvious as a trap. No doubt Holmes would not have succumbed to such a schoolboy error. I sniffed and would have taken a few moments to gather my dignity, but the thudding of footsteps in the alley warned me I was no longer alone. 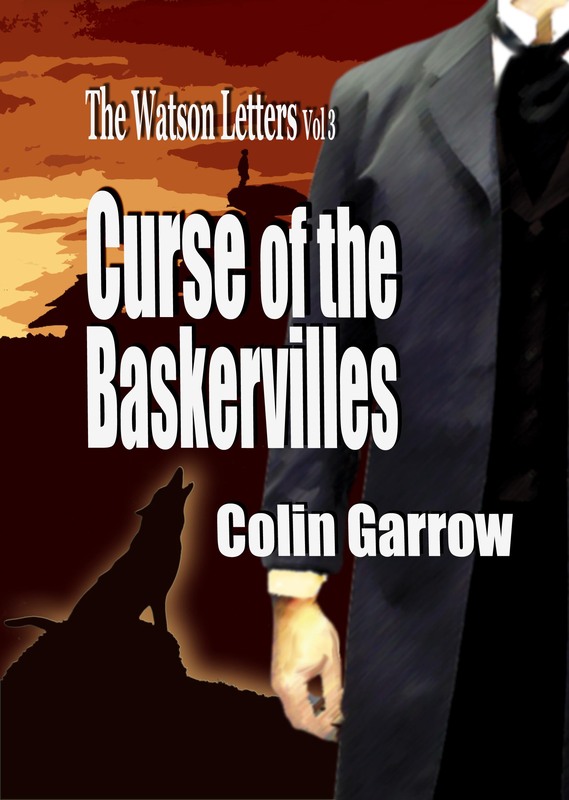 Get The Watson Letters Volume 3: Curse of the Baskervilles now! I am thankful to be once more in the bosom of my dear wife this morning, after a lengthy, albeit fascinating, overnight visit to the slums of Londen Towne. Following my plan to ply our old friend Bill Sikes with a few shillings in exchange for an insight into the slovenly ways of the lower classes (and in particular, begging his assistance in locating the individual known as The Hooded Claw), I called on Sikes at his lodgings at 14A Nobfiddler’s Lane. I found that same fellow imbibing a pot of what he likes to call ‘Charlie’. Inviting me in, he offered me a mug of the aforementioned drink, which I sensibly declined. After we’d settled ourselves in front of the fire and warmed our hands (for it was truly a disagreeably cold evening), I told him what I wanted. “Why ever not?” said I.
I assured him that I was more than up to the task of dealing with a little ‘working class dirt,’ and that I should be happy to accompany him to wherever he was inclined to take me. Back on the street, the fog was rolling in from the Thames and there was a sharp nip in the air. I began to wonder if I should heed Bill’s advice. However, I was also curious to explore ‘The Dark Side’ of Londen, as my companion called it, and we thus set out towards the docks. A short while later, we found ourselves at Cutter’s Corner, an area frequented by pickpockets, murderers and limerick-writers. Bill urged me to stay close and held onto my jacket, guiding me towards a particularly dilapidated building. “In there,” he muttered, pointing to a rickety doorway. We crossed the street and I gave the outer door a gentle push. It creaked open, revealing a dark passage beyond. At the far end, was the faint glimmer of candlelight. Taking my courage in both hands, I strode forward and knocked on the door. Bill sighed and pushed past me. 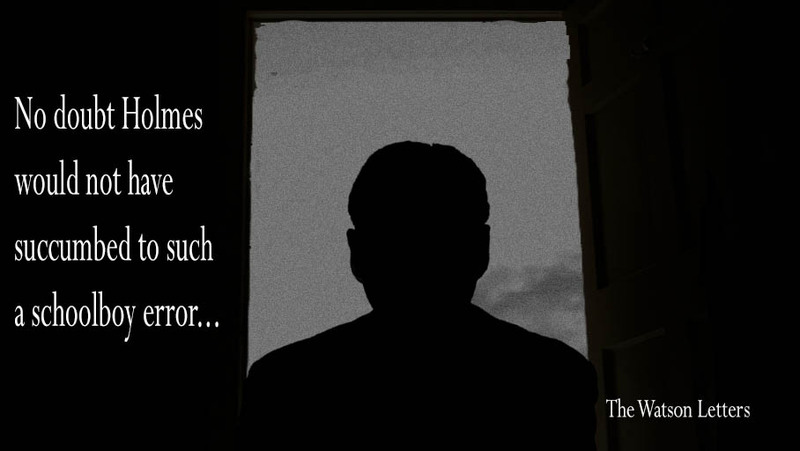 With a single kick, he caved in the door and bounded into the room. The owner of the scrawny neck was an old man who was now cowering behind a table, hands trembling, and eyes as round and bloodshot as any I have yet seen. The man shook his head so vigorously, I thought it might fall off. Gazing past me, he pointed a feeble finger. 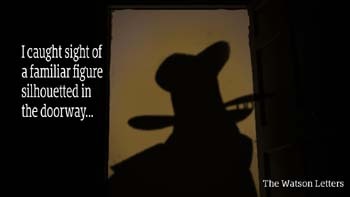 Turning to look back along the passage, I caught sight of a familiar figure silhouetted in the doorway, the gas lamp outside casting an eerie glow around his features. Bill shoved the old man aside and the two of us hurried back to the street, but The Hooded Claw (for I am certain it was he), had disappeared. We stood in the street, our eyes searching every nook and corner for our quarry, but there was nothing to see but darkness and creeping fog all around. I ran down the cobbled lane after him, unsure of my surroundings and feeling more than a little afraid. If I lost sight of Sikes, I’d have a jolly hard time finding my way home again. I am sure yule forgiv this intrushon inter your privat life, but I have come upon a situashon what you might be abel ter help with (or indeed, your pal Mister Holmes). As you knowe, I have lately been on the strayt and narrow after being a bit of a robber fer most of my lyfe, so have been involvd in doin some cleanin fer the gover ment. In fact, I have been cleanin the basement in the monument what is knowne as Big Ben. An while doin so I have come inter contact with a gentleman by the name of Mister Hannay. Anyway, I will get to the point of this letter: Mister Hannay is a writer what is interested in writin crim books and books about villins an that, an he was arskin me what I thought about stuff. 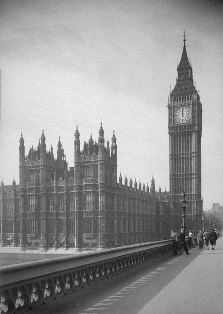 Well, whil we was talkin, he arsked how many steps there was up to the tower, so I said there were about four undred. Anyway, then he said he would have ter go and I watched him goin off down the streete. Then I appened ter notice that two surly-lookin fellers was following him, so I hurried on down and catched up with him and took him inter a nearby pub. The long and the short and the tall of it, Docter, is that Mister Hannay needs your help. I have enclosed the address at where he is stayin and have told him to expect you shortly.